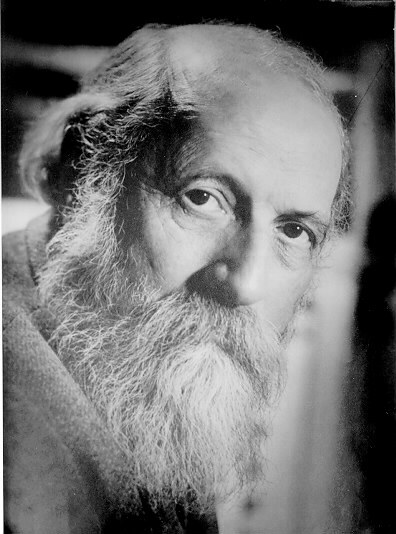 The Hasidic philosopher Martin Buber told the tale of a Jewish grandfather who was a master storyteller. Though limited physically, confined to his wheelchair, this did not constrict his mind or his imagination. One day the old man’s grandchildren gathered eagerly around his chair and asked him to tell a story about his life. Happy to oblige, the grandfather began telling a story from his childhood, how his Rabbi would leap and dance during his recitation of the Psalms at the synagogue. The more into it the old man got, the more he seemed to incarnate his rabbi, until unexpectedly the grandfather jumped from his wheelchair! In telling the story – and acting it out – it gave new life to the old man, and his grandchildren needed no further explanation. Martin Buber concludes his tale by saying: “Now, that’s the way to tell a story!” And I would add, that’s how to live a life, particularly a life of faith. People of faith, and I include myself in this assessment, often fall back on hardened dogma or cascading Scripture references to explain our way of life. This is fine for as far as it goes, but it doesn’t go far enough. Frozen facts and biblical sound bites do very little to inspire life or to invite others to explore faith. These do even less to heal a fractured world. But if we become so immersed in the story of a gracious God, so connected to his powerful narrative of redemption, so skilled in incarnating Christ, that we are animated and enlivened by it, then others just might be attracted to it. It just might do some good in the world. Faith just might become a story worth telling; a story worth believing; and a story worth living. See, we don’t need more Bible thumping, or the hurling of theological conclusions at all people who disagree with us, or using our faith as a weapon against our opponents. And no, we don’t need to quote words about Jesus as much as we need surrender to the way of Jesus, following his trajectory, becoming more like him, by properly telling and living his story. What does his story look and sound like? Like him. He was meek and lowly, humble and compassionate; full of grace and truth; the epitome of sacrificial love; forgiving toward all, welcoming to the most repugnant among us; filled with the Spirit that gives love, joy, peace, patience, kindness, goodness, faithfulness, gentleness, and self-control. If our reading and living of the Bible isn’t making us more like that – more like Jesus – then, simply, we are doing something wrong. If, in reciting our favorite verses, and memorizing the text, and proclaiming the truth, we only get more angry; more suspicious of others; more judgmental and fixed in our self-righteousness; more indifferent and apathetic toward the world; more greedy and egocentric – then we might know some religious quotes, but we haven’t yet learned to tell the story. See, the real challenge for people of faith is not defending a holy book or a “biblical worldview” against those who don’t believe it. The challenge is to become like Christ and live his story. When we become what Christ was saying, rather than offer trite, formulaic answers, then no further explanation is required. And that, friends, is another story altogether.